soak the beans in water for a good 8-9 hours. in a pressure cooker, add the soaked kidney beans and all the chopped veggies,all the spices and spice powders & salt to the kidney beans, except for garam masala powder and dry mango powder. add water. give the mixture a stir. cover the lid of the pressure cooker and pressure cook the kidney beans for 20-25 minutes. 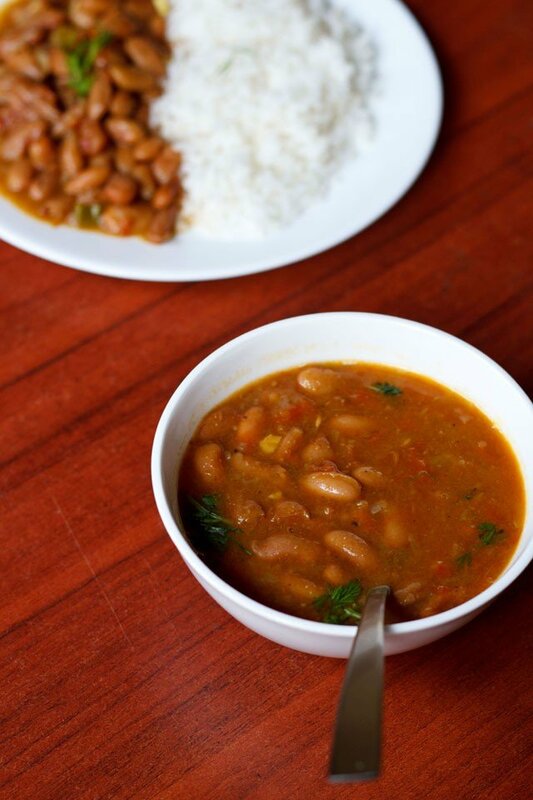 check to see if the rajma is done, if not then pressure cook for 8-10 minutes. once the rajma is cooked, then add the garam masala powder and dry mango powder. let the rajma masala simmer for 7-8 minutes till the gravy thickens. finally garnish with chopped coriander leaves and serve hot with plain boiled rice or jeera rice.